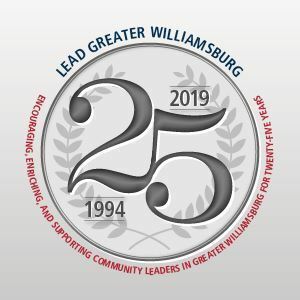 LEAD Greater Williamsburg, formerly Leadership Historic Triangle, is a community immersion program, sponsored by the Greater Williamsburg Chamber & Tourism Alliance, that provides opportunities for recognized and emergent leaders to collaborate on issues of importance to the region. The program has graduated over 400 diverse and accomplished individuals, after successful completion of an intensive eight-month program consisting of educational sessions, tours, and candid conversations with community leaders. Graduates complete their experience having gained a deeper appreciation for their community in areas such as education, public safety, health and human services, economic drivers, environmental sustainability, local and state government, workforce development, and the military. Alumni develop lasting personal relationships, gain an invaluable professional network, and continue to support their community through service as elected officials, local government planning commissioners, and non-profit board members.